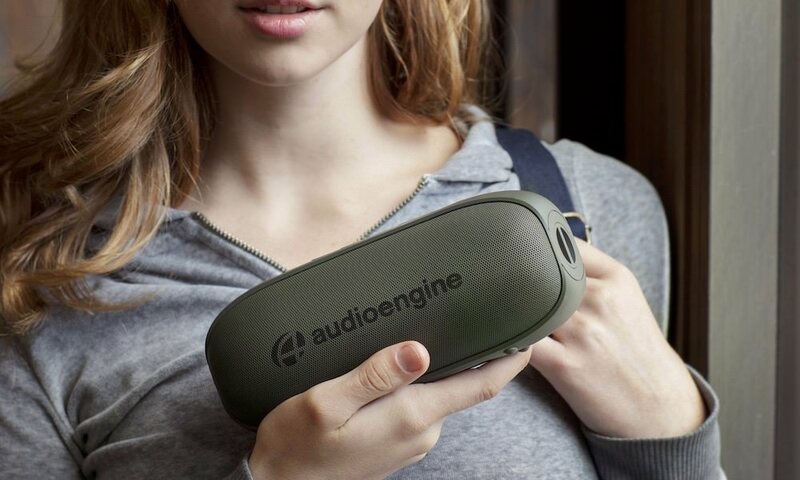 Polk Audio just released their flagship wireless music streaming speaker for $349.95. The new Omni S6 joins the Omni Collection, and is ideal for medium- to large-sized rooms, and produces astonishingly loud, rich and room-filling sound for a single stereo speaker. The Omni S6 is the first speaker within the Omni Collection to support playing music via a 3.5mm jack directly to the speaker and re-streaming music to all of your Omni wireless speakers. Setup is quick and simple out of the box, and the new speaker features DTS Play-Fi technology for instant access to popular streaming music services like Spotify Connect and Pandora, personal music libraries and Internet radio stations, which can be played anywhere in the home wirelessly from a phone, tablet or PC. The Omni S6’s curved transducer array produces vibrant, room-filling stereo sound by way of two 4-inch drivers, two 0.75-inch tweeters and a dedicated four-channel, 100-watt digital amplifier. New stereo pairing functionality enables two Omni S6 speakers to work in unison as a designated left and right channel. Polk built the speaker with the companies’ proprietary Dynamic Balance technology — which uses specific loudspeaker materials that enhance overall audio output and limit sound distortion — ensuring the speaker delivers an authentic and immersive listening experience. To seamlessly fit into any room of the home, the design has the same warm tones, curved edges and premium materials found within the entire Omni Collection, and it exclusively features a flat backside so that it can be placed flush against a wall without inhibiting the sound. Coinciding with the Omni S6 debut, streaming of Spotify Connect into multiple rooms is now available for Android and iOS customers through the free Polk Omni app. Listeners have instant access to a robust music catalog of over 30 million tracks through the newly updated Spotify service, along with the ability to control and play content throughout the home to multiple Polk Omni and other DTS Play-Fi-enabled products. In addition to Spotify Connect availability, consumers have access to a wide selection of music streaming options from the most popular music streaming services, including Pandora and others. Consumers can also play their favorite songs from personal music libraries stored on iTunes as well as music from thousands of Internet radio stations. An update to Polk’s Omni app will be available in the coming months and will include improvements to usability, more control and new features with special attention paid to the set up process, graphical user interface and the ability for the S6 to support re-streaming. Omni S6 can serve as a standalone speaker or connect with other products featured in the Omni Collection, including: the compact Omni S2 tabletop speaker, the compact and portable Omni S2 Rechargeable speaker, the Omni SB1 sound bar and wireless subwoofer system, the Omni A1 amplifier, and the Omni P1 pre-amp. Thanks to the DTS Play-Fi open ecosystem, users can mix-and-match with other speakers that leverage this technology to create a whole-home, wireless audio experience. 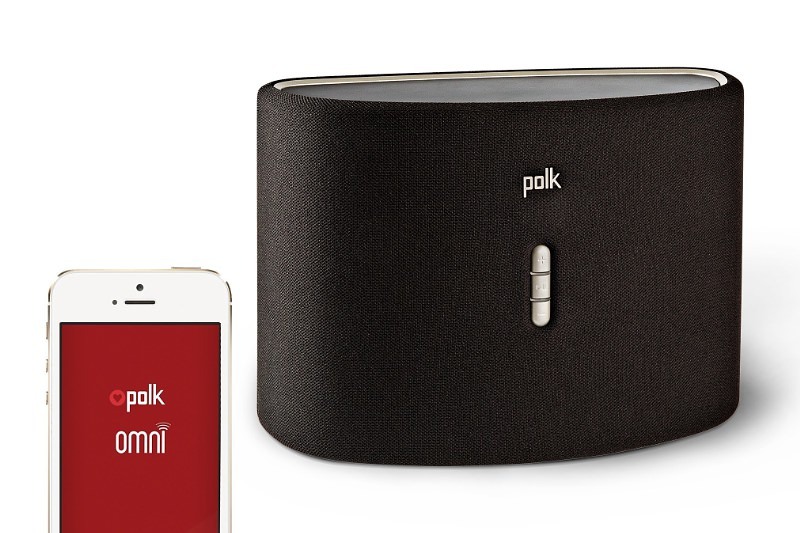 The Polk Audio Omni S6 is available now for $349.95 in black or white.